At the beginning of the Second World War, medical experts predicted epidemics of physical and mental illness on the home front. Rationing would decimate the nation's health, they warned; drugs, blood and medical resources would be in short supply; air raid shelters and evacuation would spread diseases; and the psychological effects of bombing raids would leave mental hospitals overflowing. Yet, astonishingly, Britain ended the war in better health than ever before. 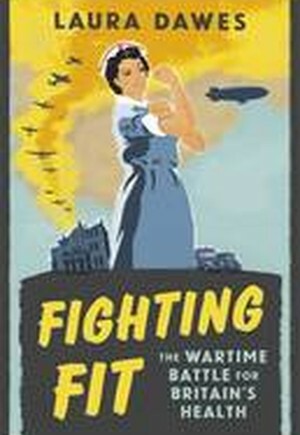 Based on original archival research and written with wit and verve, FIGHTING FIT reveals an extraordinary, forgotten story of medical triumph against the odds. Through a combination of meticulous planning and last-minute scrambling, Britain succeeded in averting, in Churchill's phrase, the 'dark curse' on the nation's health. It was thanks to the pioneering efforts of countless individuals - doctors, nurses, social workers, boy scouts, tea ladies, Nobel Prize winners, air raid wardens, housewives, nutritionists and psychologists - who battled to keep the nation fit and well in wartime. As Laura Dawes shows, these men and women not only helped to win the war, they paved the way for the birth of the NHS and the development of the welfare state.